Orphee presents another "new discovery" from the works of Francois de Fossa. A recently re-discovered treasure of Fossa's works provides the impetus for this new edition of Opus 15, not seen since the 19th century. 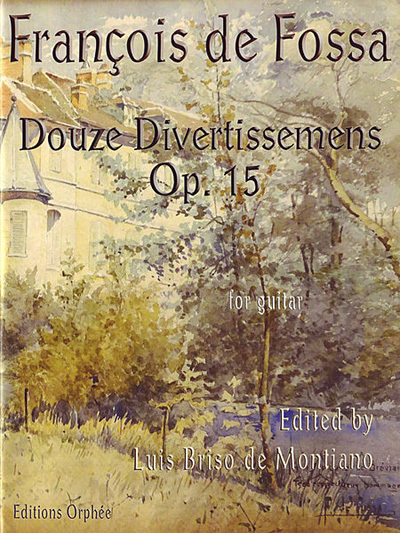 This set of twelve brief pieces in various styles will provide guitarists the opportunity to "re-discover" Fossa. Visit Orphee's website to see incipits of all twelve pieces. For advanced guitarists.